Stampa Ostrava spol. s r.o. is an engineering company that carries out complete deliveries of steel structures, industrial facilities and machine parts. Our products find their use in all spheres of industry and building construction. We are proud of our many years of experience and hundreds of successfully executed projects in more than 50 countries around the world. Our core businesses are represented by complex deliveries of technologies including installation and deliveries of special materials and components for power engineering, chemical and petrochemical industry, mechanical engineering and plastics processing industry. 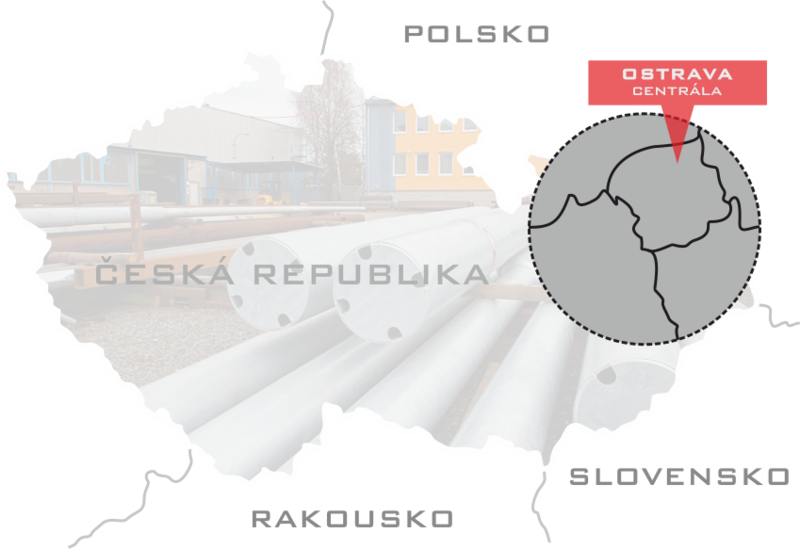 We provide products of a high quality with an authentic origin, “made in the Czech Republic”, to a large number of customers from all over the world. In an ever-changing business climate, our true competitive advantage is characterized by flexibility, responsibility and rigorous management of all innovation processes. We believe that our group is able to guarantee all these intentions. © Copyright STAMPA Ostrava, spol. s r.o.